A couple of weeks ago our friend’s family and their lives changed forever. 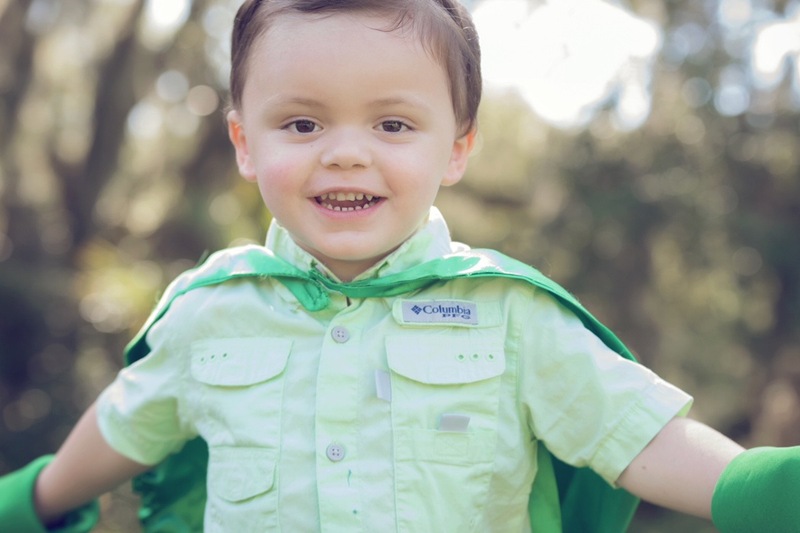 Their sweet little boy Caleb suffered from a seizure and was rushed to John Hopkins. They found a very large mass on his brain that had to be removed immediately. After a very long 4-hour surgery, the tumor was removed and Caleb began his road to recovery! Several days later the family received some additional information regarding the mass that was removed just days prior. Caleb was diagnosed with an extremely rare and aggressive cancer called Atypical Teratoid Rhabdoid Tumor (AT/RT for short). At that point the family had major decisions to make. They began searching for the best care for their little boy and they found that Doctor in Memphis, TN. So without even thinking about it, they will be packing their vehicle and heading to Memphis for treatment. They will spend the next 10 - 12 months having to go to and from Memphis together and sometimes apart. 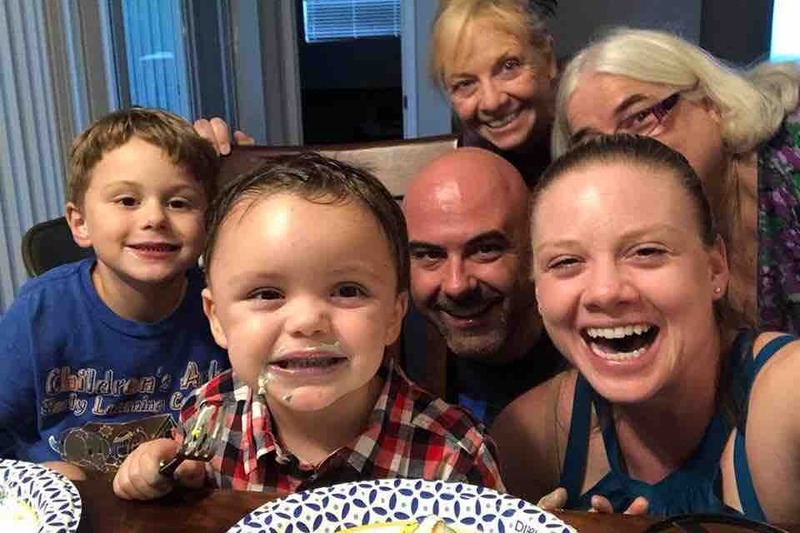 They have also decided that is was best as a family to bring their older son Tyler along with them, even though he is really thriving in VPK this year. If you know James and Christina you know they would never ask anyone for help, but they would be the first people to help you out if you were in need. So with that said, it is time for us to help out this wonderful family and their Superhero son Caleb. Christina is going to continue to keep everyone updated by starting a blog, so please continue to keep those prayers coming because they are very grateful for all the calls, comments, and texts they have been receiving. Caleb has already been through more in the past couple of weeks than most of us will go through in a lifetime! He is such a strong and happy boy and I know he is going to continue to fight and be as strong as a superhero. We love you Caleb and Grimsley family! First of all Christina and I are so very humbled and moved beyond words at everyone's generosity, love, prayers and all you have helped our family overcome! We are beginning to settle into Memphis and get comfortable with St. Jude's Children's Hospital. This is absolutely the BEST PLACE in the WORLD for Caleb to be. In fact, we have learned Caleb has the rarest form of Brain Cancer in the world. AT/RT is found in only 75 new children per year, only about 35 or so in the US and almost always in children under 3. This makes him 1 of only a handful of cases ever to have this disease over the age of 3. However, the good side of this is that the Doctors feel there is more hope because he is further along in his development. I say this is the best place because they actually have a live research study going on right now on new and existing AT/RT patients. Caleb is one of 5 patients here and the oldest by far. He is getting the absolute best care we could ask for and every day we are more impressed by all the great work the team does here. Tomorrow is a big day for Caleb as he has his follow up MRI and Spinal Tap where they will understand if there is any tumor left and if any is floating around in his little body. We are hoping for an all clear so we can begin treatment ASAP. We have confirmed treatment will continue through at least July 31, 2019 here in Memphis, with 6 more months at home Chemo, follow up visits to St. Judes every 3 months for the first 5 years. So we have a LONG road ahead but a hopeful one. Caleb is staying SO STRONG and showing his SUPERHERO powers everyday. We couldn't be more impressed by how awesome he has been. We will be starting a blog soon and will keep every updated daily as we continue our journey to treatment day 1. We LOVE YOU ALL!!! And we cannot thank you enough for everything you have done, I promise you the prayers are being answered and little Caleb will be with us a LONG LONG TIME!!!! THANK YOU!!!!!! James and Christina want to Thank everyone for their love and support. They are completely moved by everyone’s love and support during this entire process. All of this love and support is going to really help them keep their family together and help them try and focus on Caleb and his fight.